Frank Dottori knows he’s sticking his neck out a bit in picking up an idled and bankrupt Hornepayne lumber mill. With so much uncertainty looming this fall over the outcome of the Canada-U.S. softwood lumber talks, it may be a headscratcher as to why the semi-retired founder of Tembec went out and bought another lumber mill. But the Canadian forest industry legend admits to taking a calculated risk on buying the former Haavaldsrud Timber Company in a deal he finalized on Aug. 30. …The Haavaldsrud mill had been in receivership since its Nov. 27, 2015 shutdown, putting 146 employees on the street. The previous owners cited financial difficulties. 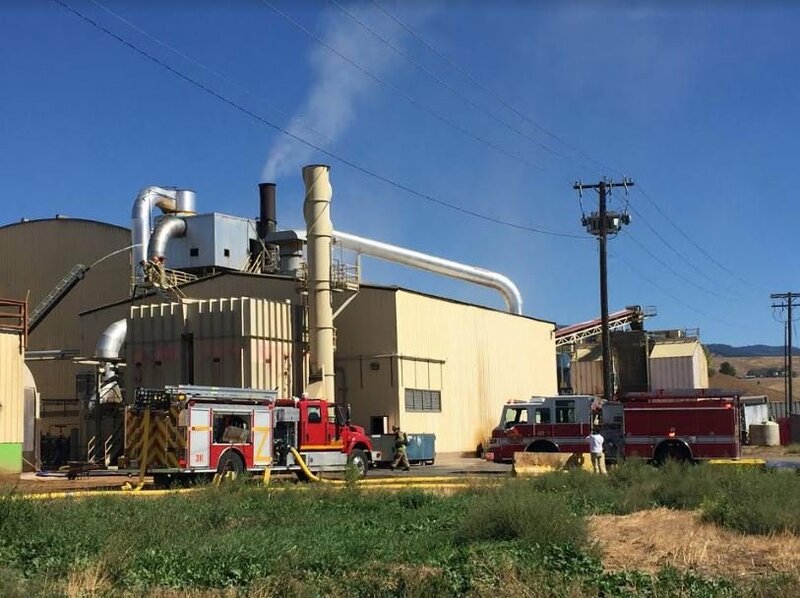 Biomass One has apologized for a wood-chip fire in White City that got out of control Sunday night and affected three other businesses. “The Biomass One family would like to extend our regrets and apologies to Western Valley Cutstock and the other companies,” said Kurt Lumpkin, manager of Biomass. The fire damaged two adjacent buildings: one owned by Biomass and leased to Petrochem Insulation Inc., which has since set up operations in a nearby house, and one owned by Western Valley Cutstock, whose offices endured severe water damage. MISSOULA – The Missoula Rural Fire District said Tuesday evening that they worked with on-site employees to extinguish a fire at Roseburg Forest Products on Raser Drive. MRFD Battalion Chief Blaine Cowan says they were alerted to a fire at the facility just before 1 p.m. Tuesday. When they arrived they discovered heavy smoke and flames emerging from a pre-dry building as employees sprayed down the fire with on-site hoses. Cowan said that most of the fire was confined to the ductwork system which houses high-powered fans and sawdust collection. Fire crews and employees worked together to turn off the fans and used water and ventilation to put out the fire. The U.S. is in the midst of negotiations with Canada over an agreement on Canadian lumber imports. Many U.S. sawmill owners argue that the Canadian mills receive government subsidies on government-owned lands, making it difficult for the U.S. market to compete. The 2006 softwood lumber trade agreement, meant to level the playing field, expired last year and a one-year freeze on tariffs, a tax on imported goods and services, ends in October. The uncertainty of new tariffs is affecting Southeast timber. …Alcan Forest Products is based in Ketchikan, but operates in Canada as well. Alcan Partner Brian Brown said the uncertainty of a new trade agreement is making Canadian sawmills unable to commit to prices on Alaska logs. “We sell primarily in Canada, the red cedar log. Thirty to 40 percent of the red cedar we sell goes into Canada right now. The market is sort of a published-log-price market. We just did a shipment in there,” said Brown. Trondheim’s latest student accommodation, is set to become Europe’s largest cross laminated timber structure and a welcome addition to the city. With construction now drawing to a close, this new student village is expected to reach completion in December 2016. The sleek and stylish development has a sustainable Kebony façade and will comprise five blocks housing up to 632 students at the Norwegian University of Science and Technology. …Throughout the development process there has been a significant emphasis on promoting environmental construction. 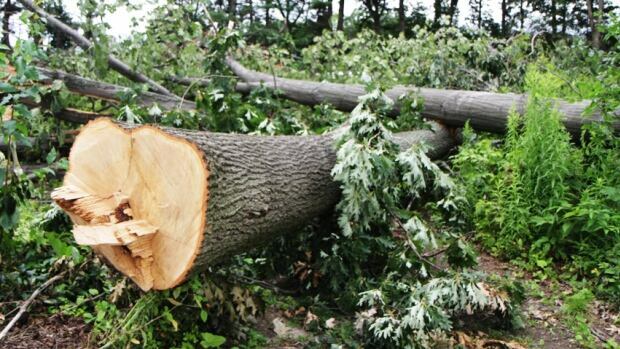 A hardwood substitute has been developed to effectively end the need to log native forests. Researchers from the Flinders Centre for NanoScale Science & Technology (CNST) in South Australia have collaborated with Australian company 3RT Holdings Pty Ltd to develop a method for converting cheap pulpwood into a highly sustainable tropical hardwood substitute. 3Wood contains the same properties as tropical hardwood but maintains a stronger dimensional stability and eliminates wastage. 3RT managing director Peter Torreele said the availability of the new “smartwood” made it easier to reduce the carbon footprint of the manufacturing industry. THE five-storey pagoda of the Temple of the Flourishing Law in the Nara prefecture of Japan is one of the world’s oldest wooden buildings. It has withstood wind, rain, fire and earthquakes for 1,400 years. Analysis of the rings in the central pillar supporting the 32-metre structure suggests the wood that it is made from was felled in 594, and construction is thought to have taken place soon after. In an age of steel and concrete, the pagoda is a reminder of wood’s long history as a construction material. 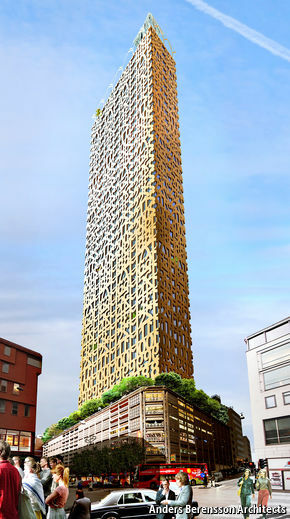 New techniques mean that wood can now be used for much taller buildings. A handful are already going up in cities around the world. The 14-storey Treet block of flats in Bergen, Norway, is currently the tallest. But Brock Commons, an 18-storey wooden dormitory at the University of British Columbia in Canada, is due to be completed in 2017. As part of their upcoming Royal Tour, Their Royal Highnesses the Duke and Duchess of Cambridge will officially endorse the Great Bear Rainforest under The Queen’s Commonwealth Canopy initiative, Premier Christy Clark confirmed today. “The Great Bear Rainforest is a global treasure,” said Premier Clark, “and all British Columbians have a stake in protecting it. 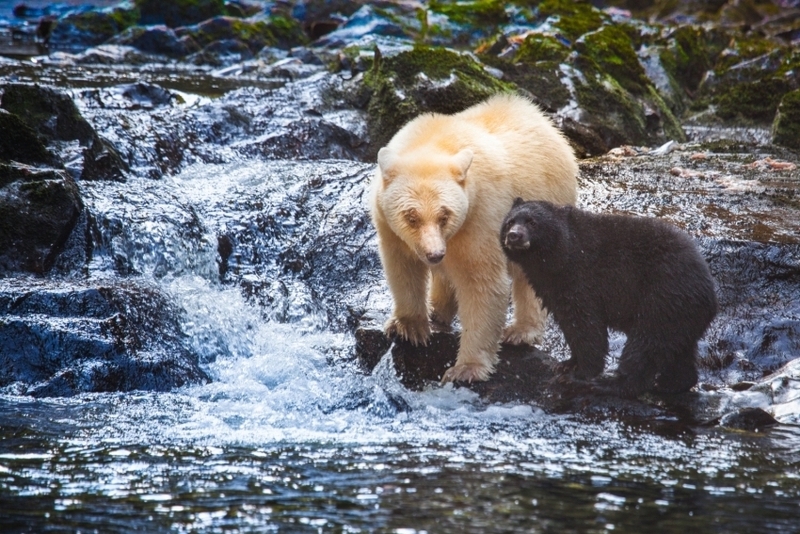 The international recognition conferred by The Queen’s Commonwealth Canopy is something all British Columbians can be proud of.” The Great Bear Rainforest was originally established through land-use decisions first announced in 2006. Earlier this year, after extensive discussions with First Nations and stakeholders, a final ecosystem-based management system was agreed to and additional new areas will be protected. Opposing views on the health risks associated with glyphosate—Public concerns about the use of herbicides in Nova Scotia’s forests appear to be growing, though the number of hectares approved for spraying in 2016 is on par with previous years. An online petition asking the province to retract its approvals for herbicide spraying this year garnered more than 3,200 signatures. Most of the forestry companies in Nova Scotia spray a Monsanto product called VisionMax. The active ingredient is glyphosate. The herbicide is primarily used in agriculture, but it is also used in the forestry industry to kill deciduous trees — such as maple, oak, and birch — in order to allow pulp wood trees to flourish. Gull Bay First Nations voted in favour of accepting an $8 million settlement from the Government of Canada. Gull Bay First Nation member have voted in favour of an $8-million settlement offer from the federal government. The settlement relates to a timber royalties claim dating back to the 1800’s. The band says it was never paid for timber and other resources taken from the land meant for them in the Robinson Treaty. “I think it sets the record straight,” said Chief Wilfred King during an interview with CKPR Radio. “I think it’s just, it’s overdue and it’s money that was owed to the First Nations that should have been paid initially. “So we feel that these outstanding claims are very, very important to resolve.” The vote, which took place Saturday, was an overwhelming majority. About 520 people voted in favour of the offer and only nine voting against. 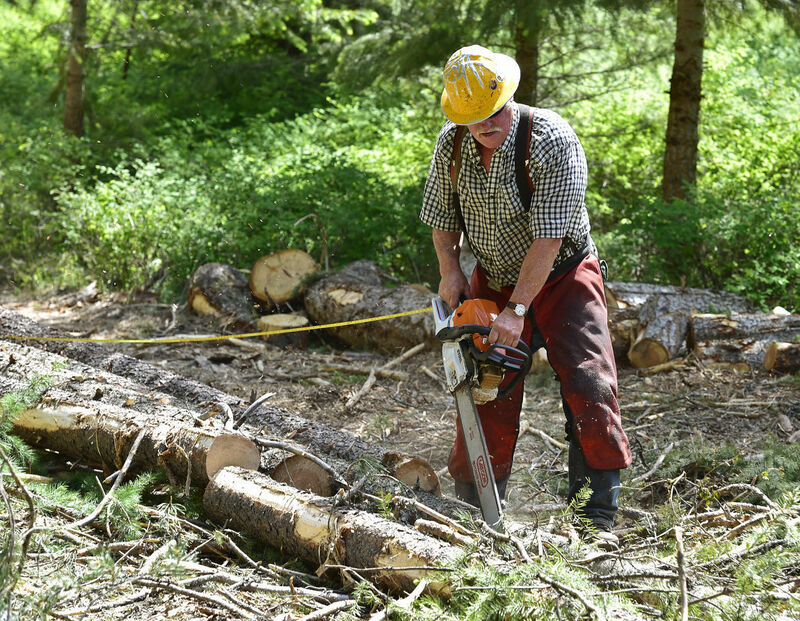 State foresters would have more ways to help manage federal and private forests under a bipartisan proposal authored by senators Steve Daines and Amy Klobuchar. Daines, R-Mont., and Klobuchar, D-Minn., introduced the Environmental and Economic Benefits Restoration Act of 2016 on Monday evening. In an interview on Tuesday, Daines said the legislation would make it easier for states to help the U.S. Forest Service get hazardous fuels reduction work done. “One frustration we have as Montanans, is we see the state out managing state lands, but we don’t see our national forests getting actively managed,” Daines said. The opportunistic spruce beetles responsible for killing the Engelmann spruce trees on Monarch Pass and across Colorado have been so successful in infecting large numbers of spruce trees that they have begun to, as the adage goes, eat themselves out of house and home. “We have seen the spruce beetle infest lodgepolpine trees near Old Monarch Pass,” said Alex Rudney, silviculturist for the U.S. Forest Service For him, the discovery was telling. The beetle has turned to other sources, but because it is not as well adapted to lodgepole pines, the beetle’s presence is unlikely to be fatal for the tree, he said. Even with the prospect of a mass die-off of spruce trees and the infestation of other trees, the forest is adapting. ORLEANS, California – Today, the Western Klamath Restoration Partnership (WKRP) launched a precedent-setting phase of the Orleans Community Restoration Project (OCFR) within the pilot project area for the Somes Bar Integrated Fire Management Project, which is aimed at restoring forests while keeping local communities safe from uncontrolled wildfire. In recent years, wildfire has increased in frequency and severity in the Klamath Basin and throughout the west. Klamath communities have seized the initiative to take on the challenges of living in a rural area where fire is a natural part of ecosystem. “Years of fire suppression and poor forest management practices have put our forest resources and our communities at risk. We can’t prevent wildfire, but we can manage it to the benefit of the forest and protect of our communities,” said Leaf Hillman, Director of the Karuk Tribe Department of Natural Resources. APPLEGATE — Some Applegate Valley activists are vowing to appeal a new multi-unit timber sale and fire-reduction project proposed by the Bureau of Land Management, saying the BLM “gave the finger” to residents trying to collaborate with the agency on the project. The group Applegate Neighborhood Network is at odds with the BLM’s Nedsbar Forest Management Project, which includes logging on O&C lands, after the agency rejected the group’s community-generated alternative. Huge swaths of Southern forests are held by private owners, many of whom could do more to protect wildlife on their property if given the proper support, according to the results of a newly released survey and land study. 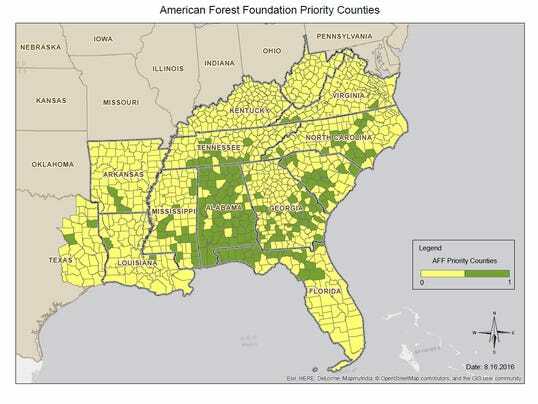 The American Forest Foundation, a Washington, D.C.-based nonprofit, commissioned a survey of more than 1,400 landowners in 13 Southern states to identify attitudes toward wildlife, harvesting and forest management. Landowners overwhelmingly said they want to improve wildlife habitat in their woods, but more than half in the survey responded that they could do more. Cost and uncertainty about land-management practices are the main barriers that keep landowners from taking steps that would benefit wildlife, surveyors found. The Sierra National Forest already is a national monument. It’s a national monument for the bad management of the natural resources for the past 30 years. It’s not managed for logging or grazing. Just look at all the dead trees that people think are caused by drought and a bark beetle. If the forest would have been managed the right way, those trees could have been harvested a long time ago. Where do people think the roads in the forest that visitors use come from? They come from loggers who build them as part of their harvest contracts. There are no new roads for visitors, and a lot of old roads are closed and not maintained. Why? The people who harvested this natural resource are all gone. What you have left are dead trees, forest fires, burned homes and people who worked all their lives for your monument. BILLINGS, Mont. — Federal officials on Tuesday rejected greater protections for four species including the rabbit-like American pika, which researchers warn is disappearing from areas of the Western U.S. as climate change alters its mountain habitat. The pika’s range is shrinking across southern Utah, northeastern California and in the Great Basin that covers most of Nevada and parts of Utah, Oregon, Idaho and California, according to a U.S. Geological Survey study released last month. Exposure to ambient temperatures of 78 degrees or higher can kill the mountain-dwelling mammals, wildlife officials say. With new technology and a crackdown on logging, Romania is racing to save some of Europe’s last virgin forests, home to wolves and brown bears. To speed the process, the European Union state has invited environmental NGOs to join official administrators in mapping the threatened woodlands and adding them to a newly established national database to guarantee their protection by law. The database should go online within six months. Some beech forests are candidates for UNESCO’s world heritage list, which could enhance Romania’s appeal as a destination for wilderness hikers and wildlife enthusiasts.